As family researchers we love that non-conformist ancestor. The one soldier that pushes the rules and regulations, perhaps failing to behave “gentlemanly,” or even just opinionated and outspoken enough to result in a superior’s reprimand. These reprimands may have resulted in an inquiry or courts martial giving us a peek at our veteran’s military service. 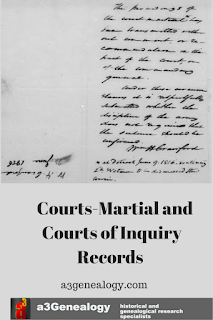 Most researchers understandably are quite familiar with the Army courts-martial records. So let’s take a look at Navy records today. The Records of the Office of the (Navy) Judge Advocate General records are held at the National Archives (NARA) Washington DC and are part of Record Group (RG) 125. 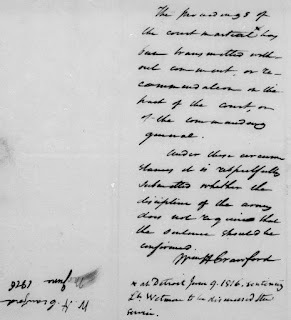 The extensive collection includes personnel records, correspondence, claims, and more. 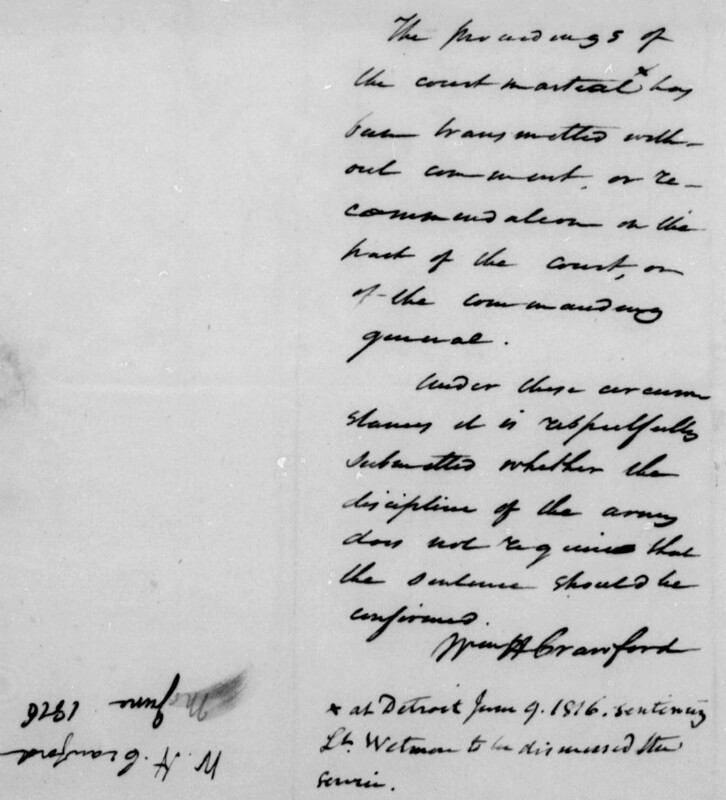 The courts-martial and courts of inquiry transcripts are located in RG 125.2.2 Personnel Records (microfilm: M273). 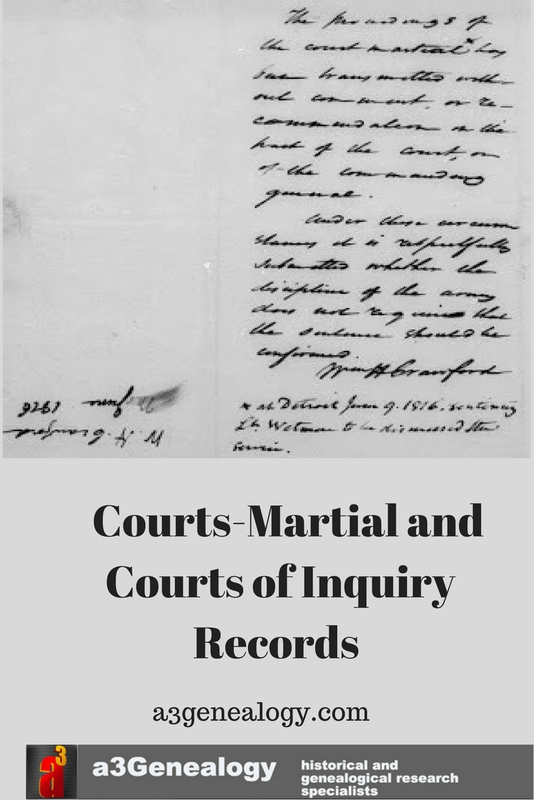 The transcripts of proceedings of general courts- martial and courts of inquiry, 1799-1867 cases have been microfilmed on abt. 180 reels. And, in addition to the collection held at the NARA, the Family History Library has a copy of this collection as well as other libraries (check WorldCat). The best news is this collection is indexed by name. We suggest you begin with the index for another reason, it gives you the exact date and case number making this research relatively quick especially for the return of knowing more about your pre-Civil War Navy veteran. Additionally, the index gives you a summary of your veteran’s offenses. For some researchers, this may be all you need, but the case transcripts are descriptive and should not be overlooked. Note: We have not shown actual cases in this post, only index images. Researchers may also find information on their marine. Little, a Sargent in the Marines, was found guilty of theft and “unsoldierlike” conduct, and contempt of superior officer. Like many of those recorded in the courts-martial records he was demoted. Another popular Sentence of the Court was to be publicly reprimanded. Have you had that ancestor just vanish during military service never to return to his family? 1) meeting with intent to kill. 2) desertion with an attempt to kill and running away with a boat the property of the US. Of course desertion, a serious offense, could result in as many as 150 lashes or a call for the soldiers’ death by being shot to death. This was not uncommon in 1817. Be sure to add this collection to you research plan.